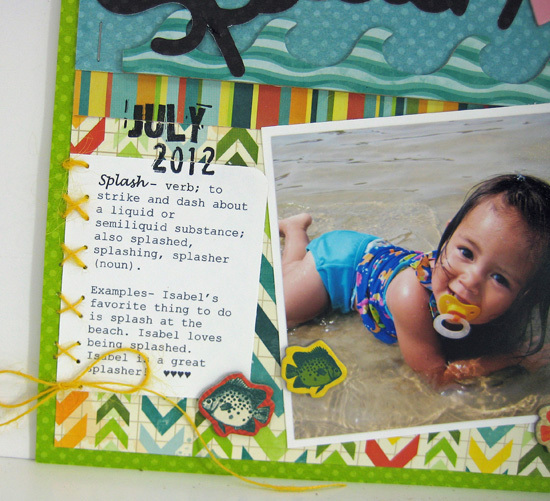 Not much scrapbooking lately because I have been studying!! 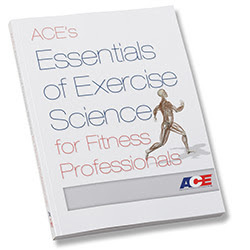 In two months I will be taking the group fitness instructor certification test and I don't think I have studied this hard... well ever! I bought this frame at Home Goods. It holds four 8x10 photos. I put three photos in and our family information in one of photo spots. Super easy! 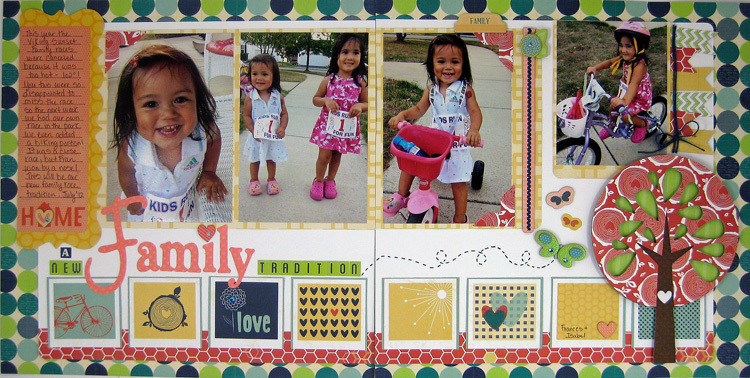 You can buy the family info print on ETSY. 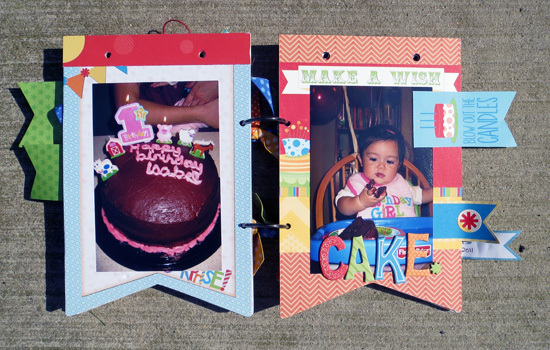 There are several sellers and multiple formats and designs. Just type important family dates in to the search. I have to confess that I created mine on my computer and printed it on some good quality cardstock at home. Sorry about the quality. I took the picture with my phone. Any questions I would love to hear from you! Thanks for visiting today! 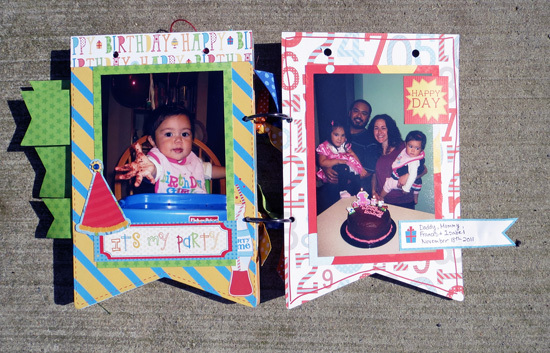 Here's a quick little mini I made of Isabel's first birthday. It was so quick because of the pre-decorated Bo Bunny mini Surprise! album. 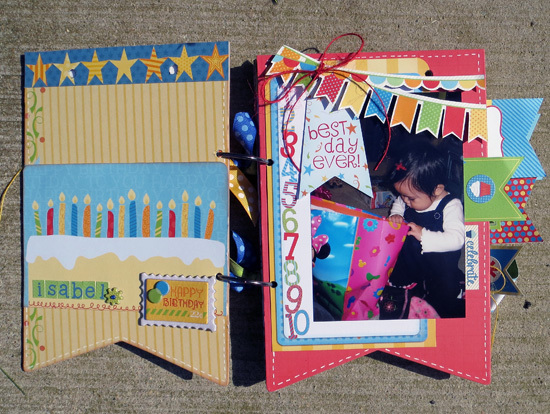 Coordinating backgrounds are on each page of the mini (front and back) so you don't have to cover each page. Love that! Such a time saver! I also used Surprise! 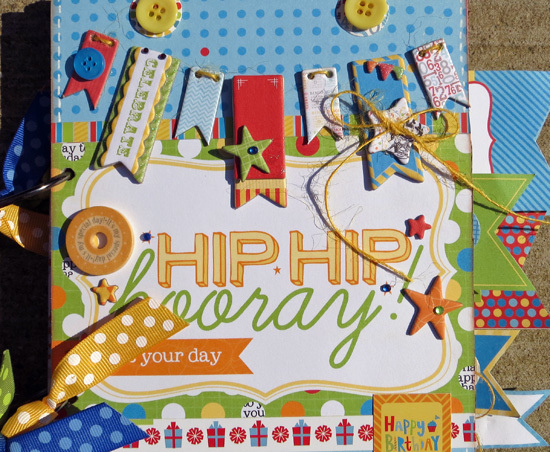 papers, stickers, chipboard and jewels. 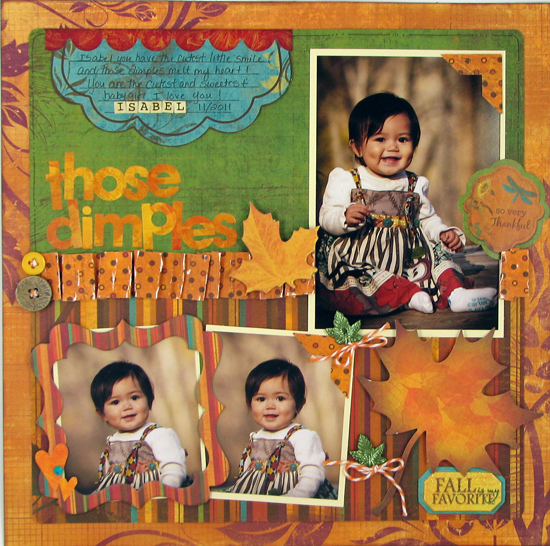 A close up of the cover. 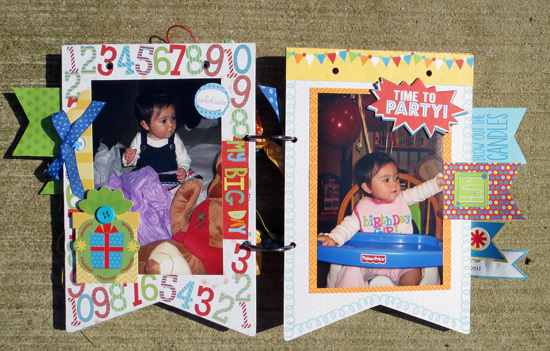 I used chipboard and buttons to create the banner. Today is a very sad because I am saying goodbye to the Bo Bunny Design Team. Over the past three years I have come to known these ladies as friends as well as designers. I will miss them all! Here is a look back at my favorite Bo Bunny projects. Thanks Bo Bunny for 3 great years! That's my sweet Isabel playing at the beach last summer. She is our little fishy! 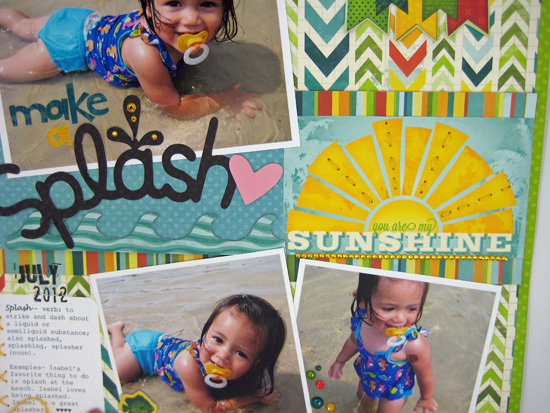 She loves the water and splashing around. This is her signature "Sea Turtle" pose. That's what she calls it when she swims on her stomach. I think she has been watching too much Dora and Diego! I used Bo Bunny Key Lime (sounds as yummy as it looks!) papers and embellishments and the Cricut Create A Critter cartridge for my title. You can read my journaling below. 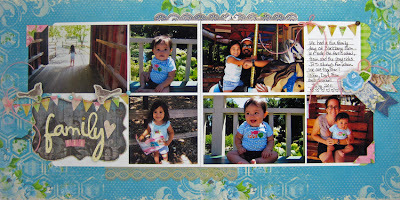 Last week on the Bo Bunny blog we were celebrating Father's Day. 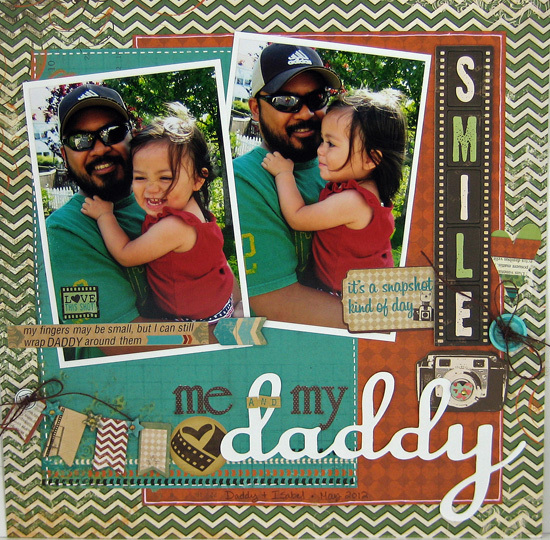 Father's Day was the Sunday before and there are plenty of ideas for you to scrap all those pictures you took! 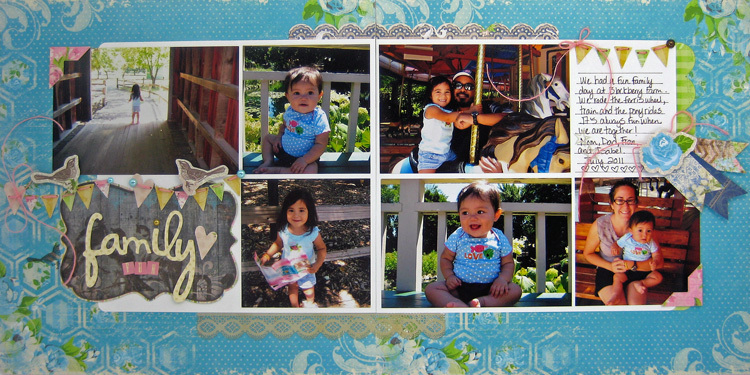 I chose to use the new Bo Bunny collection Trail Mix for my layout of my little Isabel and her daddy. She is definitely a daddy's girl! I used the Cricut Songbird cartridge to cut my title and mixed and matched some older Bo Bunny stickers to finish it. 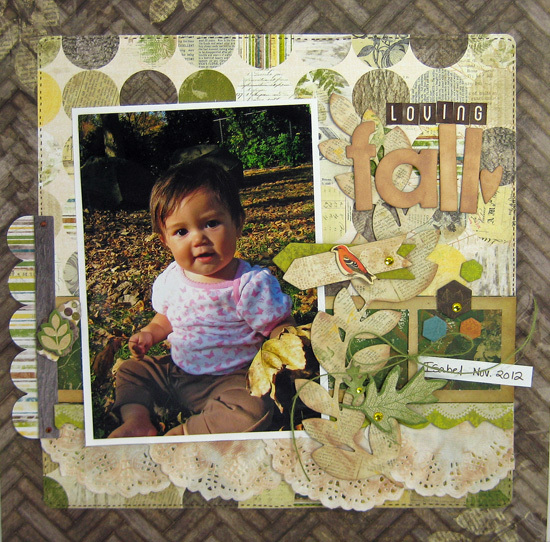 Thanks for coming by and tomorrow I will have a layout using Key Lime to share! But I can't tell you! 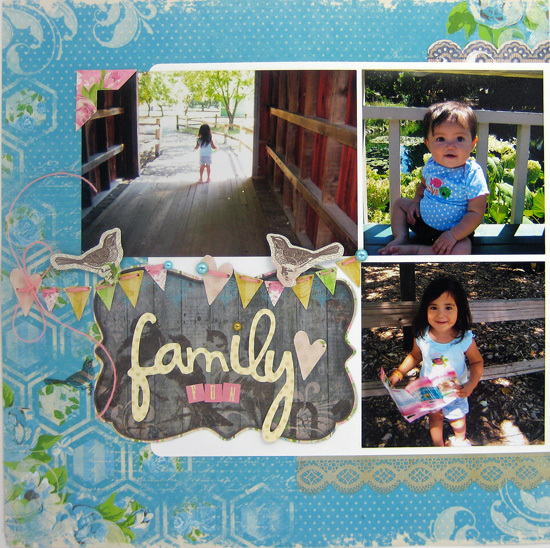 It's the last day of the Xyron and Bo Bunny blog swap and there's lots of inspiration to end the week! 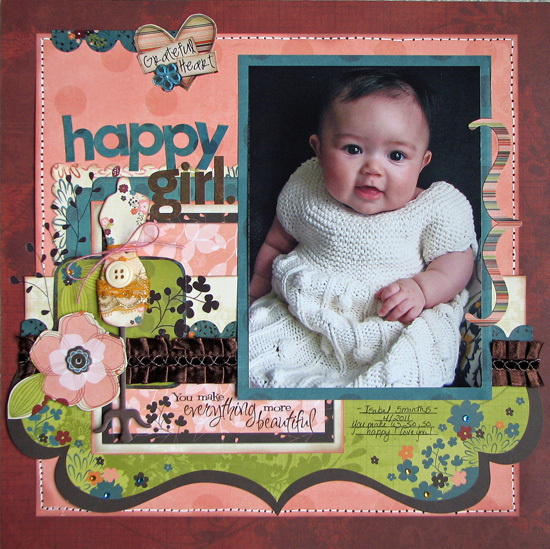 Tuesday I created a layout of my dear little Isabel using Bo Bunny's new collection Trail Mix. 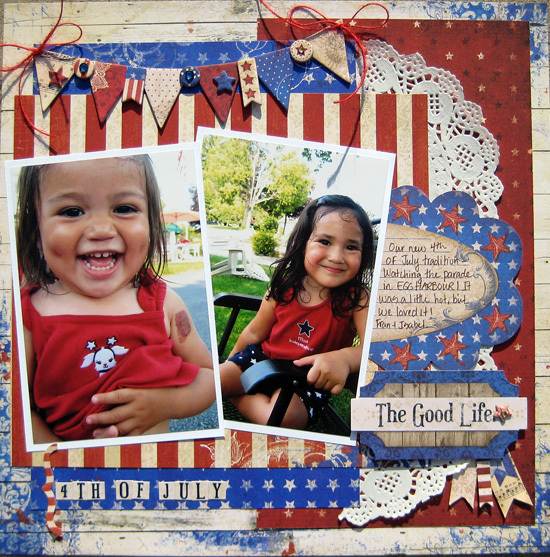 Today I have a layout of Isabel a little older and her sister Fran using Bo Bunny's new collection Anthem. 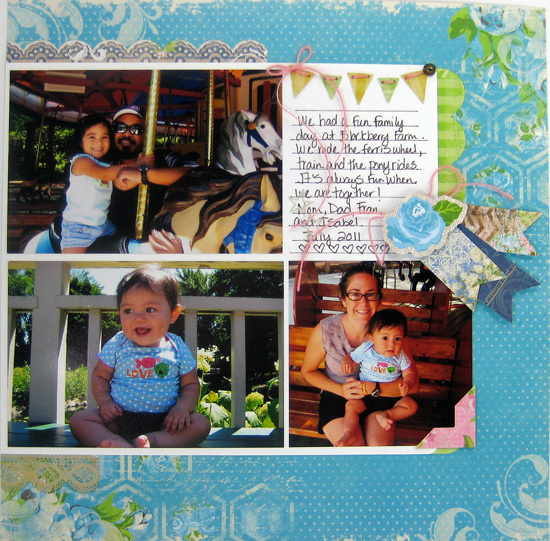 I used the Xyron Mega Runner and the little Create a Sticker machine to complete this layout. 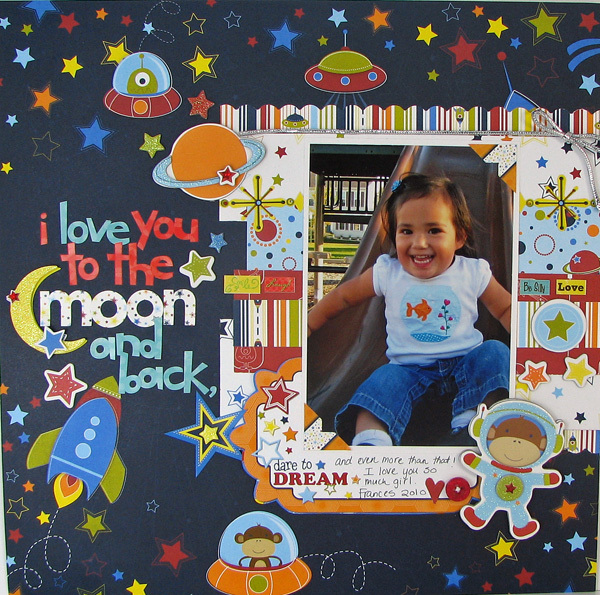 I love the create a sticker for the small little Noteworthy Die Cuts that the Mega Runner is to big for. 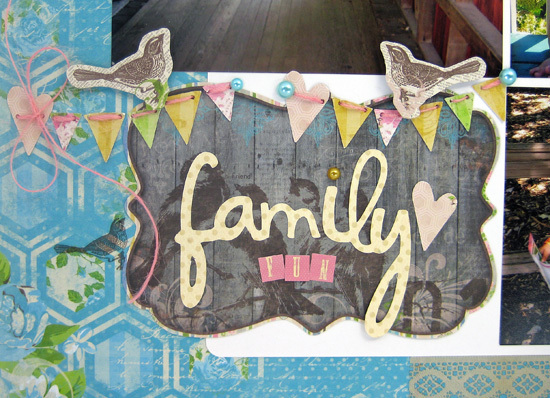 Here is a close up of the banner I created from the Anthem 12x12 chipboard. I adhered the chipboard banner pieces then adhered some other various shapes on top and added some bling and twine to finish it. And I am loving the new doilies! 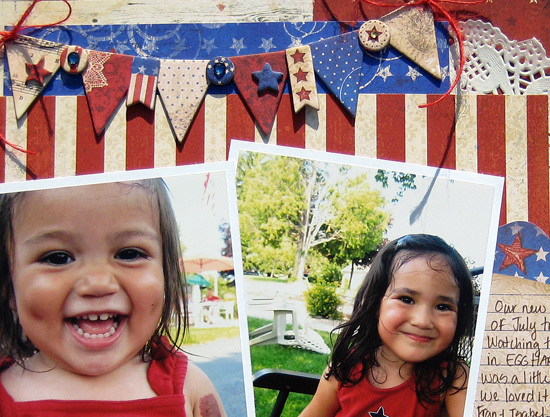 I never thought I would be a doilies kind of girl, BUT can these be any more perfect for Fourth of July? The pattern reminds me of those old fashioned Fourth of July posters. I hope you enjoyed the swap! I should have been your last stop, but if you haven't made your around yet also check out Juliana's Blog, Robbie's Blog, the Bo Bunny Blog and the Xyron blog for more inspiration. And don't forget the prizes! Leave a comment on all the blogs and one winner will be chosen from EACH BLOG (yes that's right! multiple winners!) to win one of the new collections of their choice. The hardest part will be deciding which one to pick! 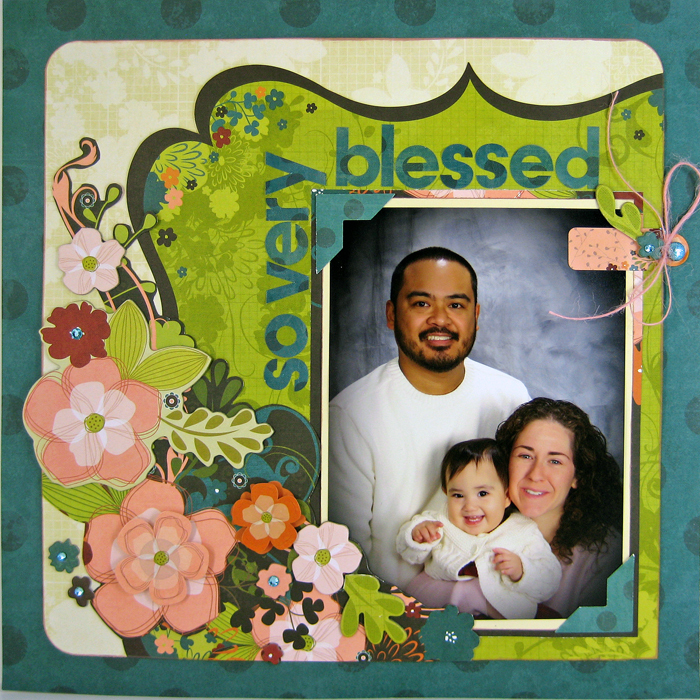 Welcome to DAY ONE of the Bo Bunny and Xyron Blog Swap! The Bo Bunny DT has lots of goodies to show you this week using Xyron adhesives. They will be projects and give aways so check the Bo Bunny and Xyron blogs all week! 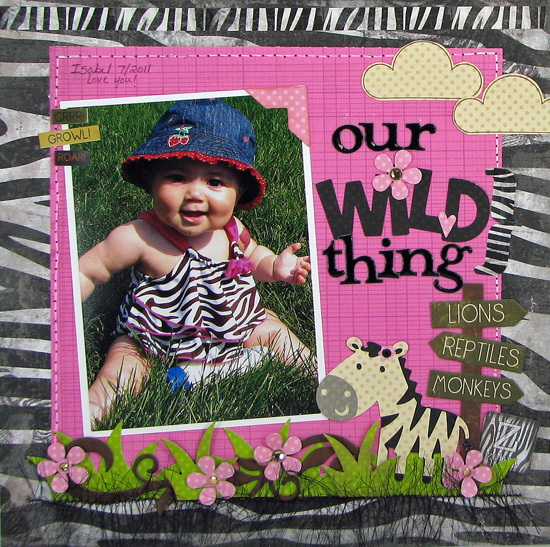 I created this layout using the new TRAIL MIX collection and lots of Xyron adhesive! Specifically I used the Xyron Mega Runner. You won't run out of adhesive any time soon when using the Mega Runner that's for sure! Hop on over to Julianna's Blog, and leave a comment there and on the Bo Bunny blog to win a new collection of your choice- Trail Mix (which I used above), Anthem(which I will be showing on Friday!) or Key Lime! Decisions, decisions, this will be a toughie! You will have until Friday at midnight to hop and leave comments. I know it's been a while! No excuses... except.... the usual mom and work stuff. And I have been having great success getting some things published! But that means I can't show them here, hehe! I do have these two new projects to show. 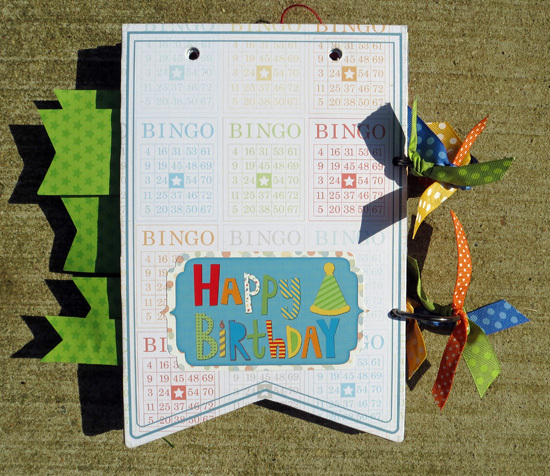 This one I created with Bo Bunny PRAIRIE CHIC and the Cricut Songbirg cartridge. LOVE.... the little banners on this cartridge. Close up of the title. I cut the title and banner with the Cricut. I used Cricut Craft Studio to merge the letters together. And here's some new Bo Bunny fresh out of the box! I used the brand brand new (not even stores yet, new) TRAIL MIX collection. I used the flowers, trinkets and jewels to girly up this kind of manly collection. I love the new Bo Bunny Family is... line! I will be out of this collection in no time! 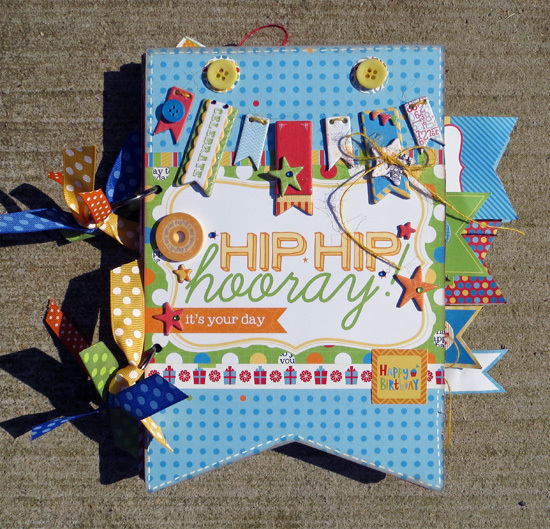 Today it is "Favorite Embellishment" Day on the Bo Bunny blog and the design team is sharing their favorite embellisments. Mine is the 12x12 chipboard packages! I used several on this layout and still have a tone more. 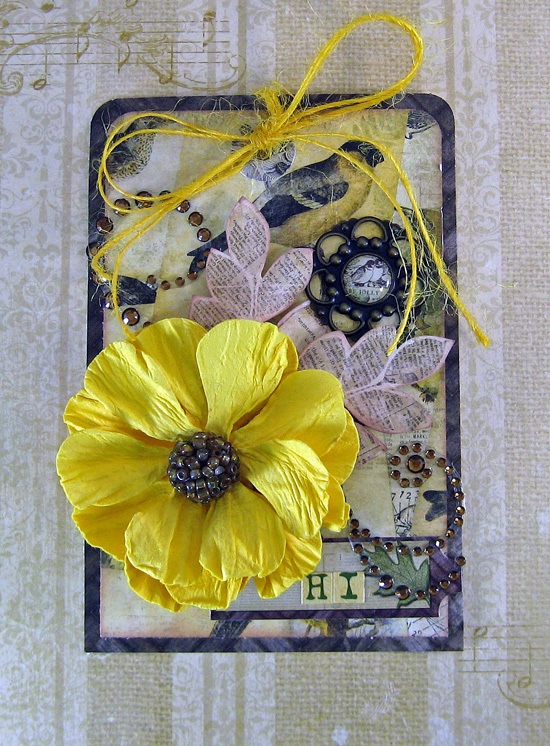 Hop on over to the Bo Bunny blog for more favorite embellishments. 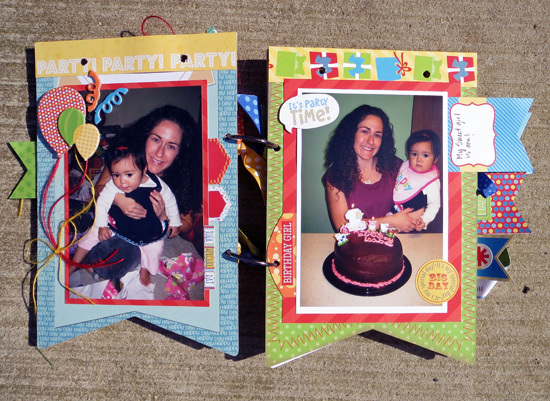 I also used the Opposites Attract and Plantin Schoolbook Cricut cartridges. New Bo Bunny is here! Here's some new Bo Bunny! I hope you love the new projects as much as I do!